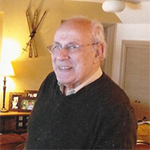 Dr. Stamatis Vassilaros graduated from the Medical School of the University of Athens in 1958 and received training in general surgery at the Lutheran and City Hospital of Cleveland, Ohio and in surgical oncology at the Roswell Park Memorial Hospital in Buffalo, New York between 1958 and 1964. Between 1965 and 1973 he served as a surgical consultant at Evangelismos Hospital and since 1974 as a surgical consultant at Marika Eliadi Hospital. In 1975 he founded the first breast Clinic in Greece and in 1990 he founded and served as president of the Hellenic Action Against Cancer. In 1993 he founded the breast Unit at the Diagnostic Medical Center, “Prolipsis”, where he served and is currently serving as director. Since 2000, he is a clinical associate at the Austin Research Institute of Australia. The follow-up at 16 – 19 years of 31 patients (15 immunotherapy and 16 placebo group), showed that the recurrence rate in the placebo group was 60% and 12.5% in the immunotherapy group. The mean time of recurrence in the placebo group was 65.8 months after surgery and 118 months in the immunotherapy group. (p=0.02 for survival and p=0.009 for percentage of cancer-free patients). All patients injected with MUC1 showed no evidence of toxic effects or signs of autoimmunity.